George Michael on stage. Athens will be the pop star’s last stop. What do George Michael, Joe Cocker and Juliette Lewis have in common this summer? All three are performing in Greece and enjoying it. Take Lewis, for example: a well-known actress who recently appeared at the Scorpions Festival with her band, Juliette and the Licks. Her dressing room demands included four boxes of chewing gum, 36 bottles of beer, no cans, and humus with Arabic bread. The great, and now sober, Joe Cocker, who also appeared at the Scorpions Festival, required lots of ice, cubes, not crushed, followed by a selection of food including Japanese, Indian, Italian, French, Thai, Greek cuisine, it seems, is not his forte. The figures speak for themselves: The current tour features 31 live concerts with 1,400,000 spectators, covering 20 countries. There are 180 production staffers, including musicians, technical support, chefs, hair stylists and makeup artists, while 34 lorries are carrying 75 tons of stage construction material all over Europe. All the members of the production will cover 24,000 kilometers in 10 weeks. More figures involving the Athens show are 1,400 towels and 6,276 meals, including George Michael’s dinner before he hits the stage, which the pop star has already ordered. On stage, he will be accompanied by 15 musicians and vocalists, while during the tour he will change costumes no fewer than 90 times. For his dressing rooms, Michael has asked for lilies and white roses as well as a separate and specially designed lounge for friends and relatives from Greece and Cyprus. His wardrobe will occupy an area of 100 square meters, while his private dressing room will cover the space used by the Liverpool and Milan soccer teams during the Champions League final. George Michael has already announced that he is planning to be in Athens from July 23 onward, in order to explore the city in a no-fuss, four-seat car. Athens is the last leg of the pop star’s European tour and he has already scheduled a two-hour rehearsal at the Olympic Stadium. Following 15 years of no touring whatsoever, the pop star deserves to change a few extra outfits don’t you think? George Michael at the Olympic Stadium. For tickets: Metropolis stores; online on www.ticketnet.gr, by phone at 211 1086060; Badminton Theater, Alsos Stratou, Goudi; Ticketnet, 46 Kifissias Avenue, Ambelokipi, 1st floor, Athens. Posted by grhomeboy in Food Cyprus, Food Recipes. The famous Greek feta cheese has a less known Cypriot cousin called halloumi. Originally halloumi is made from sheep’s or goat’s milk, or a mixture of the two. However, the industrially produced halloumi also contains cow’s milk. Cypriots have been making halloumi for centuries. Propably the oldest historical reference to halloumi is from 1643, when monk Agapios described the methods of preparing this white semi-hard cheese. 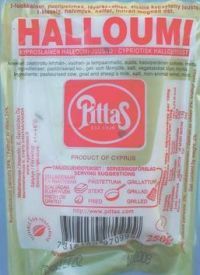 The ethymology of the word halloumi is somewhat obscure. Most probably it derives from arabic “khllum” which means cheese. Although stored in brine, halloumi is less salty than feta. If needed, it can be soaked in lukewarm water or milk. Usually it is flavoured with mint, which gives it a unique taste. Some say, however, that the original purpose of the mint was to preserve the cheese longer due to its anti-bacterial properties. Halloumi is one of the cornerstones of the famous Cypriot meze menu, a selection of small dishes. It is often eaten with fresh tomatoes, watermelon, salads and sandwiches. Halloumi is a good choice for a barbecue since it can be easily grilled or fried. It has a higher melting point than most other cheeses, so it doesn’t melt, but gets crispy and beautifully brown outside and softer inside. A few slices of plain halloumi on top of a basil-tomato sandwich is also delicious! Cover the whole halloumi with wheat flour. Fry both sides in the pan with melted butter and olive oil until golden brown. For a finishing touch, flame it with ouzo (optional) and squeeze lemon juice on top. Halloumi is widely available in the bigger supermarkets. A 250g package costs about €3-4. Posted by grhomeboy in Internet & Web. BYTE Bulgaria officially started in Bulgaria as of June 18, the company said. It is the official representative of Google Enterprise Solutions for the Balkans and also a part of the Greek group for information technologies and communications BYTE Computer SA. BYTE SA is one of the five biggest companies in the field of information technologies and communications in Greece. It had an income of 14.44 million euro for the first three months of 2007. In April 2007 Google awarded BYTE as Best New Representative 2007. The Bulgarian office opening coincided with the 25th anniversary of the Greek firm. Posted by grhomeboy in Greek Diaspora Festivals. Over the weekend, local ethnic communities welcomed festivalgoers to a corner of Victoria Park where they offered a taste of their homeland. A few booths down, a steady lineup kept volunteers from the Greek Cypriot community of Waterloo Region busy over the grill all weekend. Nicolopoulou remembers back when the festival was held indoors but, under Saturday’s sunny skies, she said the move outdoors was a good one. She said she’s proud the Greek Cypriot community has been a constant part of the festival as it has grown to include more groups from around the world. “We were one of the pioneers,” Nicolopoulou said with a smile. The festival kicked off Saturday afternoon with Scottish, Ukrainian and Greek performers taking the stage. They were among the first of the 40 groups who helped entertain the crowds over the weekend. The event is organized each year by the Kitchener-Waterloo Multicultural Centre. The more than 50 craft and artisan booths at the festival were specially selected by organizers in an effort to promote ethically-made products at the festival. Posted by grhomeboy in Hellenic Light Americas, Movies Life. The Los Angeles Greek Film Festival announced its award winners with Cypriot Panikos Chrysanthou’s Akamas as the winner of the Orpheus Award for Best Narrative Feature and Valerie Kontakos’s Who’s On First selected as the Best Documentary. A Special Jury Award was awarded to Dimitris Koutsiabasakos for his feature The Guardian’s Son. The E! Network’s Daily 10 show’s Debbie Matenopoulos served as hostess at the Closing Night Ceremony following a screening of Kimon Tsakiris’ Sugartown: The Bridegrooms. The event, which included such traditional Greek entertainment as a musical group featuring a bouzouki and a performance of the hassapiko dance, was highlighted by the presentation of the Orpheus Award for Lifetime Achievement to Olympia Dukakis, presented by Alexander Payne and an Honorary Orpheus Award given to Yani Begakis at the Writers Guild Theatre in Beverly Hills on Sunday, June 17th. 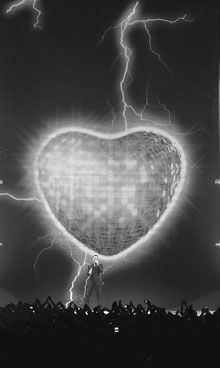 Other presenters included Michael Constantine, Anne Jeffries, Penelope Spheeris, Jim Gianopulos and Melina Kanakaredes. The Audience Award went to Stefan Haupt ‘s documentary, A Song For Argyris. Best Director was presented to Alexander Voulgaris for his feature film, Pink. Best Short was Christos Nikoleris’ Mines. The first year festival enjoyed full theatres and enthusiastic audiences throughout it’s four day debut outing, with screenings held at The Fine Arts Theatre, the Wilshire Screening Room and the Writers Guild Theatre, as well as panels held at Paramount Studios and the Beverly Hills Playhouse. Posted by grhomeboy in Cyprus Occupied. Dina Kyriakidou, who was born in Cyprus, has worked as a correspondent for Reuters in Greece and the Balkans since 1989 and is now the chief correspondent for Greece and Cyprus, based in Athens. In the following story, she recounts her journey to her grandmother’s home town in Turkish military controlled and occupied northern area of the Republic of Cyprus. Occupied Kythrea, Cyprus > Armed with vague childhood memories, printouts of Google Earth maps and hand drawings of streets that might no longer exist, I crossed into the Turkish occupied and military controlled north area of Cyprus in search of my grandmother’s home town. It was a journey to the birthplace of a larger-than-life woman whose memory I cherish, to the house my besotted grandfather built for his 17-year-old bride in 1928. “When you marry, find someone handsome because you’ll have to look at him for the rest of your life,” my barely literate but very practical grandmother advised me when I was 10. She died aged 90. That was before 2003, when the crossing points on the U.N.-patrolled green line that splits the Mediterranean island opened, allowing Greek and Turkish Cypriots the first glimpse of each other in nearly 30 years. The Nicosia checkpoint was not the busy spot I remembered from previous trips. Lethargic officials now sat in white booths, waiting for the occasional car to pass. I’ve lived my adult life away from this island and this journey is not hard for me. But I know that people on both sides of this divide, which has defied decades of international peace efforts, still nurse open wounds. For many of the 200,000 Greek Cypriots refugees who fled in 1974 when Turkey invaded the island after a Greek military junta staged coup, with some Cypriot minor assistance aiming to dispose the then Archbishop Makarios, the first President of the Republic of Cyprus, it is a heart-breaking experience, especially when they find their ancestral homes occupied by invaders Turks. “For the Turkish Cypriots, moving to the north was more like migrating to freedom, not the tragedy it was for the Greek Cypriots,” said Mete, whose grandmother comes from the free south area of Cyprus. About 30,000 Turkish Cypriots were also displaced, forced with lots of unkept promises by their leader Rauf Denktash, after inter-communal fighting in 1963, shortly after Cyprus declared its independence from the British in 1960. As we drove through the divided capital of Nicosia, the last divided capital in Europe, it became clear the occupied north, recognized only by Turkey, had seen few benefits from the Republic of Cyprus’s accession to the European Union in 2004. In the south, luxury showrooms, hotels and restaurants abound in a tourism-driven economy. In the north, shops sell fashions of past decades and provincial casinos are the main attraction for the few foreigners who venture here. Star-and-crescent flags are everywhere. One is painted on the Pentadaktylos, Five Fingers, mountain, its huge form outlined with flashing lights. We reached the occupied town of Kythrea, 15 km (10 miles) northeast of Nicosia. It’s name has been changed by the invaders, in Turkish as Degirmenlik, water mills. The bleak, crumbling town was foreign to me. Gone were the animals grazing in green fields and farmers picking oranges and olives that impressed me as a suburban child visiting relatives. Most houses appeared deserted and the land abandoned. The large Greek Orthodox Church of Holy Mary Chardiakiotissa was built with the island’s trademark yellow sandstone in a gothic-orthodox style mix. The bell tower is now adorned with speakers for the muezzin’s call to prayer. Nearby stands the simple, white, two-storey house where my grandmother arrived as a bride, where my mother and her siblings were born. I knocked on the door but there was no answer. “The people who live there are Turks from the Turkey’s coast,” said a neighbor, Ramazan Kaldirim, whose family came here at Ankara’s orders, from a village near the Black Sea in 1976. I told him I have no claim on this house, sold after my grandfather died in the 1950s. I am connected to it only through stories of happy matchmakings and tragic deaths, of children’s mischief and friends’ kindness during hard times. We also stopped at my uncle’s 19th century house to admire its carved stone entrance, now padlocked. He lived here until 1974 when Turkey invaded and occupied the town, and he drew for me the maps of my mission. Back in Nicosia, he asked me if his house was still standing but barely looked at the snapshots I show him. “I know what my house looks like,” he told me. Article by Dina Kyriakidou. Copyright by Reuters. Posted by grhomeboy in Health & Fitness. Eating dark chocolate may have a protective effect on the cardiovascular system in healthy people, the results of a new study suggest. “Epidemiological studies suggest that high flavonoid intake confers a benefit on cardiovascular outcome,” Dr. Charalambos Vlachopoulos, of Athens Medical School in Greece, and colleagues write in the American Journal of Hypertension. They point out that the elasticity or stiffness of arteries “are important determinants of cardiovascular performance and are predictors of cardiovascular risk.” The researchers examined the effects of flavonoid-rich dark chocolate on blood-vessel function in 17 young, healthy volunteers over a 3-hour period after they consumed 100 grams of a commercially available dark chocolate. The investigators saw that an artery in the arm dilated significantly more in response to an increase in bloodflow. Chocolate consumption also led to a significant 7-percent decrease in aortic stiffness. “The predominant mechanism appears to be dilation of small and medium-sized peripheral arteries and arterioles,” Vlachopoulos and colleagues suggest. The team didn’t detect any change in antioxidant levels, so they suggest other possible explanations. “The dilatory effect of chocolate under resting conditions can be attributed to improved nitric oxide bioavailability, prostacyclin increase, direct effect of chocolate in smooth muscle cells, or activation of central mechanisms,” they write.